Twenty-two years after designing Bluetooth 1.0, Jaap Haartsen is still working to push the standard forward. Bluetooth has come a long way. It's gone from being a frustrating standard that only businesspeople used for mobile headsets to something that millions rely on daily for wireless speakers and headphones, syncing with wearables and more. And now, with Apple and other companies pushing consumers toward wireless headphones (and away from the tried-and-true 3.5 headphone jack), Bluetooth finally has a chance to shine. 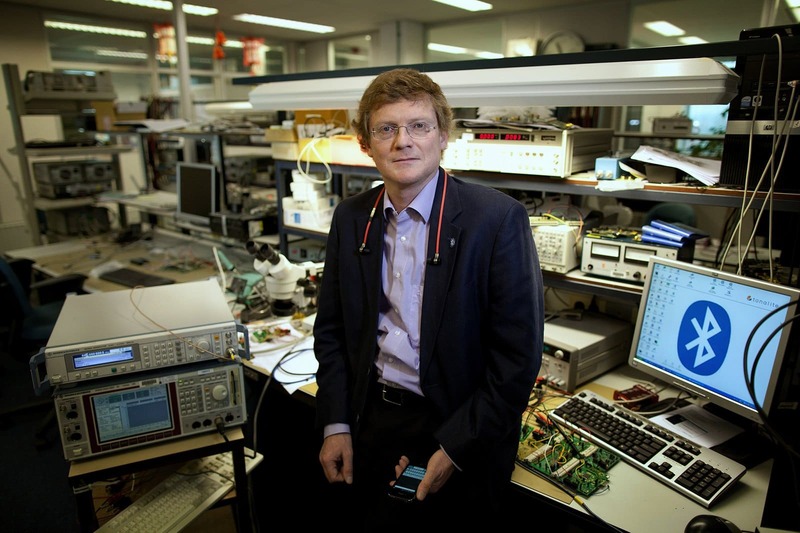 Jaap Haartsen, who spearheaded the design of the standard in 1994 while working at Ericsson and currently serves as a wireless expert at Plantronics, was recently inducted into the Consumer Technology Association Hall of Fame. I had a chance to sit down with him to talk about the development of the format and get a sense of where things are headed. I've been working on getting a different kind of function over radios like Bluetooth by determining distance because location and communication together will be a very strong formula for features. By knowing what devices are close to you, or further away, you know in range what functions they have. But if you don't know how far they are away, that's a disadvantage. What would the use case be for that? Well, for example, you have your laptop and want to print out something. You can search for printers and get a list of names, which don't mean anything to you. But if it says printers are 5 meters and 10 meters [away], that would be at least my vision on how to use these. And there are a lot of things where just being able to determine distance in addition to the contextual awareness. It brings one parameter extra, which can greatly benefit users. This seems to be an interesting time for Bluetooth. 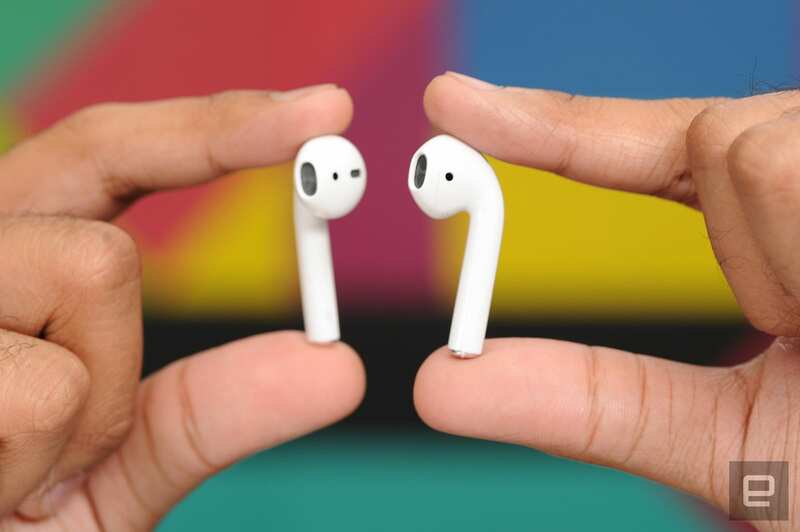 Apple gave up on the headphone jack, and other companies are following suit. How do you see the current ecosystem, especially around wireless audio? I started it [working on Bluetooth] in 1994, and at that time the audio was limited to mono headsets. The second wave, I think -- around 2003 -- we brought in stereo audio by increasing the data rate. But still, the momentum wasn't really there. We started to bring it up to the market. Now we see the market is booming. And with the announcement of Apple taking away the normal 3.5mm jack, that, of course, would give it a great boost. Either you go with a proprietary Lightning connector or you go with wireless. So I think the market as a whole has increased quite considerably. 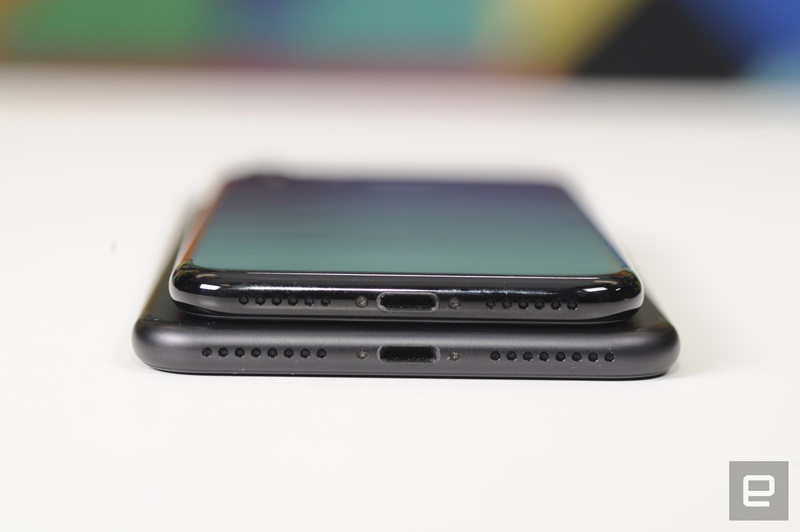 Are you at all sad about losing headphone jacks? There's still a difference in audio quality. People have always said you should have CD quality, so that's always what they're complaining about to me: That you should have a multimegabit data link. But I've always said, if I do that, that'll drain your battery and it'll drain the capacity you can share with each other. So we've been relying on codecs [to compress audio data]. Of course, if you're an audiophile, wireless will never beat the 3.5mm [jack] with its high data rates. Bluetooth has gotten a bit better, quality-wise, with AptX [a high-quality codec], at least. I have a different opinion about that. Also, if you use the proper settings with SBC [the default Bluetooth audio codec] I don't think AptX will be so much better. But that's another thing. And encoding is always lossy. If you want lossless, you'll need a few megabits per second. And, of course, as technology progresses we get better codecs. I think the majority of the people we look at, they still listen to MP3s that are compressed. Are there good ways and bad ways to implement Bluetooth today? And do you think some companies are doing better than others? I've liked what Plantronics has been doing, for example. I know for a fact that the codec they're using is programmable. So you can put in more bits used for coding or less. If you're going to change that, you can go from 128 to 320 kilobits per second. And if you go to the lower rate, you'll hear more deficiencies in your audio. From our perspective, we also want to have good audio, and that's not just encoding technique. It's the whole chain. If you have a bad speaker, it doesn't help you to have a very lossless link. 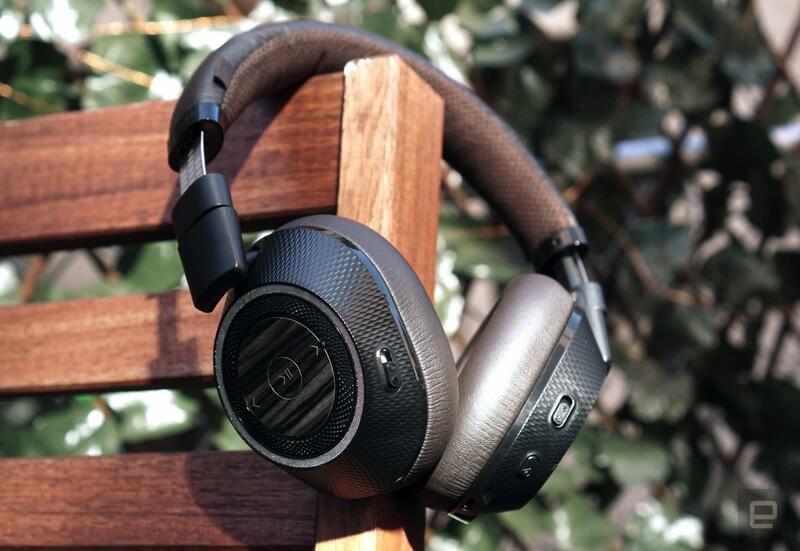 What are you working on outside of Plantronics? I also do consulting in the wireless area. Of course, I have a large background not only in Bluetooth, but I've also worked for a mobile phone company [Ericsson] for a long time. If you look at all the wireless fields, like WLAN and also mobile, I have experience. And the interesting thing has been to look at all these different systems and how they keep their place in the world. A lot of people have asked me, "Can we just have one [wireless] system that solves everything for every use scenario?" And I'm still not convinced about that. I still see three different parts when it comes to mobile: large coverage, wireless LAN and ad hoc personal area networks like Bluetooth. Each of those systems has been optimized for their sweet spots. So it's very difficult to find one system that has all the features you'd have in that. It sounds a bit like you're talking about "5G" and all the things that'll represent. Yeah, 5G, but we also talk about the Internet of Things. We'll have millions of devices within a square kilometer, and we'll have to think about how those things will connect with each other. Has the system really been optimized for that? How are they going to share spectrum? Because that's a scarce resource, and there's quite a limited area in the radio spectrum where you can have communications. What are your thoughts on gadgets like Cassia's Bluetooth router? Do you think we'll be seeing more products like that, with companies using the standard in different ways? If you look at the Internet of Things, we need these kinds of aggregated devices, because there are so many slave devices around you that you'd want to connect to. You need aggregators to combine the signaling. It's no surprise to me that these kinds of devices have arrived in the marketplace. Can you delve into what it was like to build and release Bluetooth? At the time it was 1994. I was in Sweden working for a large manufacturer of mobile phones [Ericsson]. They wanted to increase the value of the phone so, of course, we were using things like wires and also infrared, but those were cumbersome. If you want to have real freedom, you want to do that wirelessly. So one part was voice-driven because we were in the professional market for the businessman. In 1994, mobile phones weren't really a consumer product yet. It had to support voice, and it also had to support data in order to get rid of the infrared link. I was asked to come up with a system that was wireless, digital and should be able to support both voice and data. I got a kind of blank sheet, and just made it. I looked at existing systems. I knew about the many mobile systems, but those were too heavy and too complicated for these really short-range technologies. I looked at cordless systems like DECT -- digitally enhanced cordless telephony -- but that was very much based on an infrastructure with base stations and cordless devices around it. And with Bluetooth, what I was asked to do was really a peer network, a point-to-point ad-hoc network between devices that were just in range. There was nothing there. The only thing that was close was walkie-talkies, and those were two devices that just talked to each other. When I explained Bluetooth to people, I said it was a walkie-talkie done on a world-scale, because all of the devices could potentially talk with each other. How long did it take to put it together? In 1994, I started laying out the foundation on the system level. But pretty soon I got people involved who were more into radio-technology implementation and silicon. Pretty soon, we were talking about doing everything in a single chip, which had never been done before. So on the one hand, they told me what the limitations of that are -- no external components with coils and resistors, because everything had to be integrated -- and then I had to look at my system protocol and specifications to facilitate building it all on a single chip. I think that went on for three years. I did a lot of computer simulations, and my colleagues worked on the implementations with radios. I worked out the protocol on the lower level, so that's the physical layer and the data-link control layer. After a certain point, the managers controlling our division were impressed with what we did. But they also knew they couldn't bring it to the market themselves because they were only a mobile-phone company. We needed to create an entire ecosystem. So in 1997, I think in the summer, they went out and looked for partners willing to bring this to the marketplace as a de-facto specification. They approached a number of companies like Nokia and Intel. Intel was very interested, because they are looking at a laptop division, and they couldn't connect yet with infrastructure. We didn't have wireless LAN back then. So they wanted to use the mobile phone to get to the internet. But they wanted to have a wired link between mobile phones and laptops. Intel also started to look with Ericsson for other partners. We also got IBM and Toshiba. So we had five companies, and the idea was that we'd have a mix of people from the communications side and PC side. Since we had both Ericsson and Nokia, we couldn't have one company dominating, and the same on the PC side. The idea was also to get Microsoft on board, but due to legal reasons they weren't willing yet to take the step. And then they came in with the second wave. In 1998, the five companies created the Bluetooth SIG, and the whole idea was to finalize the specification. I wrote the initial spec, but then everyone has to agree and have a say. Then the idea was the Bluetooth SIG would also bring it to market. People didn't just understand what it was. We called it evangelizing, to tell the consumer what do with it. That took a long time, actually. It was 1999 when we launched the entire Bluetooth system to the world. And then we had the internet bubble [crash] in 2000, 2001, so it really didn't catch on until 2003, 2004. Then we saw the first billion devices in the world, and that was the point we could say it wouldn't vanish anymore.